Hey all! Just curious if anyone has had any luck with getting fitted at a big box store for your Titleist clubs. I had a fitting at GOlf Galaxy a couple years back and i was pretty disappointed with how it went. I was looking to get more out of my fitting. The guy asked me my swing speed and then which irons i like and basically told me to get a stiff shaft with whatever set i go with. I feel like there is quite a bit more that goes into it. I would like to get another fitting here before long but i am nervous to go back to Golf Galaxy. Id like to think that the guy that helped me was just having a bad day but was curious what everyone thought. Thanks in advance!! I have done all three of mine at Titleist Thursday offerings. 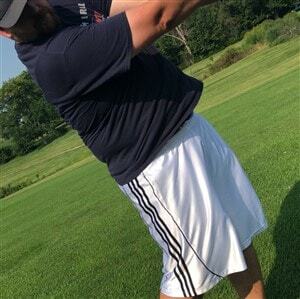 Outdoors with a Titleist employee using Titleist range balls. I would personally try to avoid an indoor session with someone that wasn't highly skilled at the process and hitting outside off of real turf gives you more accurate feedback. That said, If you can't do an outdoor fitting with a Titleist rep, getting any kind of fitting is still better than just guessing and buying off the shelf. Appreciate the feedback. Hopefully when it gets nicer the local TPC course will have something with Titleist?? Based on my own experience, the "fitters" at my local box are just guys off the street that are golfers. Being 40 years younger than me, they only really knew what worked for them and the same information I saw on commercials. The icing on the cake was I went in with a 913 wanting to shop a new shaft. After semi-paying attention to what I was hitting, they convinced me that magically, one of the drivers on the rack was just what I needed. That 915 was so bad that it was easy to get a 917 that gained me 20 yards. Personally, I will only get fitted at outdoor sites with a Trackman or similar so I can see the flight and see the numbers. 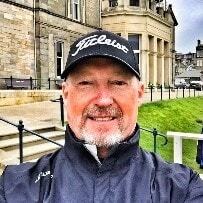 I do have access within 75 miles of both a Titleist Thursday and a Premier Fitting site. It's worth the drive. If you trust an indoor fitting location with qualified fitters like a GolfTec or Club Champion, that can work for you. Do the due diligence to select the site/fitter. I like to see the full flight and getting fit off a mat instead of local turf condition just doesn't seem right. I could probably shave 5-8 strokes off of my handicap if I could hit every on course shot off of a mat.